Flowers are beautiful and delight the senses, but they come at a high price in terms of production and transportation. A flowers carbon footprint is measured by the carbon dioxide that enters the earth’s atmosphere from it’s initial stage of growth and production to its final destination on our table and desks. CO2 is the foremost man-made greenhouse gas contributing to global warming. Transporting flowers around the world cause high CO2 emissions from trucks and freight planes. As consumers, we don’t think of this when deciding which bouquet to give for anniversaries or birthdays or to brighten a room in our homes or offices. Think for a minute about what’s “hidden behind the curtain” when you buy a bunch of fresh-cut flowers at your local florist, supermarket or roadside stand. Chances are those flowers were grown in South America. Flowers are the #1 perishable import into Miami, and almost 90% of the 4.5 billion fresh-cut flowers imported into the United States every year come into Miami, where they are repackaged for delivery to wholesalers. Every single day, at least 40,000 cases of perishable flowers arrive at Miami International Airport. Talk about a carbon footprint! Those cases of flowers are loaded into refrigerated trucks at the farms in Ecuador and Colombia, then loaded onto cargo planes for immediate shipment by air, then unloaded into refrigerated trucks and delivered to refrigerated warehouses. Then the planes fly south again to pick up more loads. The environmental impact (and cost) of all that jet fuel and all that refrigerant is staggering. Many companies are touting the substitution of plants for flowers, as gifts, in weddings and as decoration in our homes. 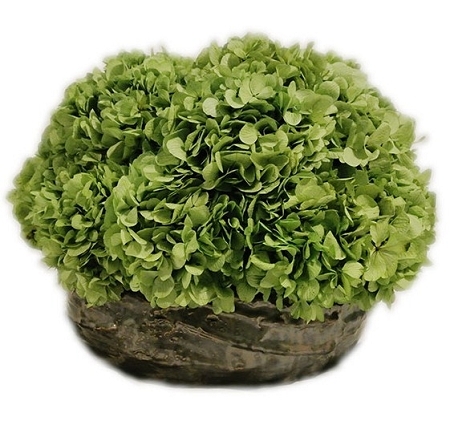 While this is a viable solution for something to put in a pot or vase, this does not satisfy us as greatly as flowers. 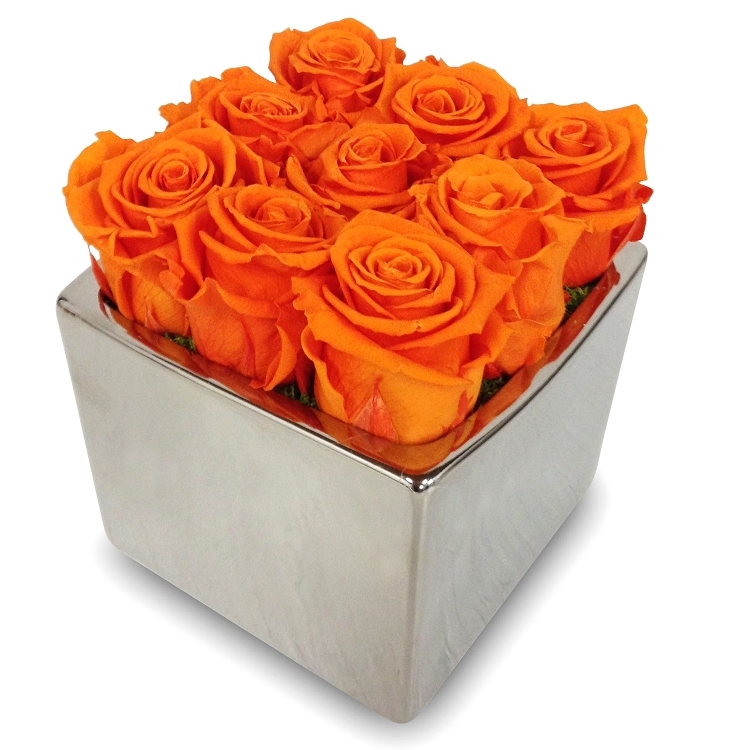 Flower arrangements date back to ancient Egypt, where flowers were selected according to symbolic meaning. These associations have carried through to the modern day. Can you imagine giving your beloved a potted cactus to convey your love, in place of red roses, on Valentine’s day? What then is the solution, to satisfy both the need for fresh cut flowers and the desire to be conscious consumers who want to preserve the planet for our children and grandchildren? Buying flowers that are locally grown is an option, but depending on the climate in your region, this may or may not be helping. In cooler climates, flowers are generally grown in greenhouses under artificial conditions (heating and lighting where fossil fuels are burned). Dried and silk flowers are options, but neither one manages to delight the Flowernistas discerning admiration of natural beauty like only a real flower can do. There is really only one answer: a real eco friendly flower that is naturally treated to retain its beauty and freshness that remains fresh and lasts for many months. This type of flower will help reduce the carbon footprint and the weekly expense of keeping fresh flowers. Imagine a one time purchase for up to a year to appreciate the beauty of natural flowers. Copyright Blooms By Heinau®. All Rights Reserved. Business Optimization Powered by Kompani Group.